Although it poked fun at Lynn’s inability to convince her husband to compost, I’m here to tell you that we do compost at work. Like many other businesses embracing sustainability, our office at Bethesda Green has a sleek container for compost that gets emptied every week. While composting at home can be a challenge, as The Times’ Elissa Gootman details, there are many new ways to help make composting easier. In the DC area alone there are several local compost collection services, including Compost Cab, The Compost Crew, and Fat Worm. Serendipitously, my personal New Year’s Green Resolution is to reduce my food waste and start composting at home. 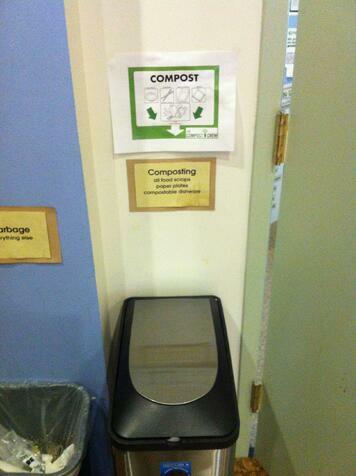 Are you composting in your home or office in 2013?